Forever Family: Oh, Hello Mr. Doom... it's been a while. Just when you think you've got it all together... man. For the last couple of weeks, I've felt INVINCIBLE! Yes sir. Everything was going my way. Work... great. Exciting and fun. Family... great. Kids are enjoying school and all that good stuff. Wife... well, she hasn't tried changing the locks yet, so I consider that a win. ... Huh? Whats that you say? Hold on... this little nagging/annoying feeling of Impending Doom is trying to tell me something. Me: Hey Doom. How'ya doing. Haven't seen you in a while. You doing well? Doom: Yea... That's okay tho, I know you've been busy. Running around... thinking life is all great and stuff. Me: Yeeeea. Its a nice feeling from time to time. Doom: Oh good. Glad you are enjoying it. Doom: Hey, do you remember the time where I lost your Adoption Paper work for 3 months? And NO ONE knew where it was? Me: HaHA! Oh yea... that was AWESOME. Good times... yup... good times. Doom: Hey, how is your China VISA doing? I mean, your Passport photo got rejected twice... your Kid #1 had his photo rejected like 5 times. Me: Yea, the photos were fun. I especially liked the way we had to get my sons photo re-taken the 5 times, and I had to miss like 2 days of work to get it all sorted out. But Mike from the agency emailed, said that he got the Visa packages from us. So everything is good. Doom: Reeeeeally? Did he SAY everything was good? Me: Well... umm.... no. He just said that he GOT the info from us. Doom: So there COULD be something wrong still. Me: You know what Doom. Its over between us. You really have to let it go man. You can't work your way back into my life. Everything is going great! Doom: ... that hurts man. Didn't what we have MEAN anything to you? Me: Well, it meant something at the time. 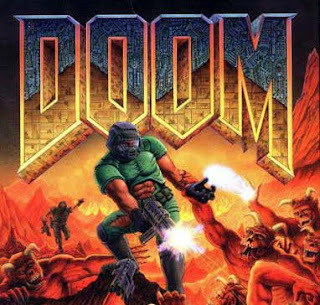 Just because I don't want Doom and Chaos in my life right now, dosn't mean that I didn't enjoy it back then. Doom: Why are you bringing my cousin into this? Me: I'm not. Let it go. Doom: Fine. But you cut me deep Berzenji... you cut me deep. Doom: Here, I've got something for you. Me: Really? Oh Doom, you shouldn't have. I can't accept your gift. Doom: No no, its no problem. Its just something to remember me by. Me: Oh, all right... for old times sake. It almost doesn't seem to matter what I try to do in life. Man, if I could just catch a freaking break sometime, I would be thrilled! Well. I'm gonna to toss this package in the garbage, I don't want it, don't need it. And once the panic subsides... and my stomach settles down... I'm going to start going over my paper work, and numbers, *again* and try to see how I missed just an obvious error, and find a way to once again make sure everything is still lined up for our trip to China. The roller coaster ride doesn't slow down close to the end... I think it definitely gets faster. I remember Doom. For us it was getting our CIC number for Alex's citizenship. Right down to three days before we left we didn't have it. Thought we were going to have to cancel our trip. And yet somehow it worked out. Don't let Doom get you down. You're almost there. That's not to say Doom's not nipping at your heels. Just give a good kick. Just found your blog through someone else's and have been doing a little back-reading. Man, you've had me laughing! I love your writing and perspective on the whole adoption process. Nice to find another Canadian voice out there . . .
Annon: I can't imagine being that close and thinkinga bout having to cancel with days to go... ungh!